BALTIMORE, September 7, 2016 – November’s presidential election will be the 58th in American history. While all presidential campaigns and elections are significant, political observers still discuss a few that were characterized by extraordinary circumstances: incivility, arbitration by the U.S. House, Electoral College surprises, multiple parties and candidates, civil unrest and so forth. On Thursday, September 22 at 6pm, join moderator Sheilah Kast and The Maryland Historical Society’s panel of experts as they discuss four such contentious elections that reverberate today and their impacts on American political history: 1824 (John Quincy Adams/ Jackson/Clay/Crawford), 1860 (Lincoln/Douglas/Breckenridge/Bell), 1876 (Hayes/Tilden) and 1912 (Wilson/Roosevelt/Taft). The issues that arose in these earlier contests provide a fascinating lens through which to view the coming election in November. The United States presidential election of 1824 was the only election to be decided by the US House of Representatives because no candidate received a majority of the Electoral College vote. Although Andrew Jackson received a plurality of the vote, John Quincy Adams ended up being elected, causing a great divide. The issue of slavery animated the 1860 election (Lincoln/Douglas/Breckenridge/Bell) and some Southern states seceded before Abraham Lincoln was inaugurated. The election of 1876 is known as the “Stolen Election” (pictured above) as Samuel Tilden won the popular vote and more electoral votes than Rutherford B. Hayes, with 20 electoral votes nebulously declared ‘illegal’ and thus uncommitted. Finally, the 1912 election (Wilson/Taft/Roosevelt) is known as the last election wherein a former President (Roosevelt) ran for the White House without being nominated as either a Democrat or Republican, but rather as part of a progressive third party, the Bull Moose Party. Sheilah Kast is the host of Midday on WYPR. Originally, she hosted the DuPont-Columbia University award-winning Maryland Morning with Sheilah Kast from 2006-2015. 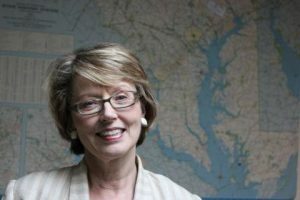 She began her career at The Washington Star, where she covered the Maryland and Virginia legislatures, utilities, energy and taxes, as well as financial and banking regulation. She learned the craft of broadcasting at ABC News; as a Washington correspondent for fifteen years, she covered the White House, Congress, and the 1991 Moscow coup that signaled the end of the Soviet empire. This event is FREE for MdHS members; $10/nonmembers, with a Reception to follow. For more details and to register, visit this link. Note that Maryland has enacted the National Popular Vote bill. When it goes into effect it will guarantee the presidency to the candidate who receives the most popular votes in the country. No more handful of ‘battleground’ states (where the two major political parties happen to have similar levels of support among voters) where voters and policies are more important than those of the voters in 38+ predictable states, like Maryland, that have just been ‘spectators’ and ignored after the conventions.